Assoc. Prof Yunus Ali joined Monash University Malaysia in August 2007. Prior to joining Monash University Malaysia he taught at Queensland University of Technology, Monash University, and University of Wollongong in Australia and Rajshahi University in Bangladesh. Assoc. Prof Ali published widely in several international business journals and received international awards for research in marketing, Muslim consumer behaviour and international business. He has supervised a number of PhD, Master by Research and Honours students to successful completion. Assoc. Prof Yunus teaches International Marketing MKW3444), Islamic Marketing (MKW3510), Marketing and International Consumers (MKM5955) and International Marketing (MKM5260). His areas of research and Higher Degree supervision interest are International Joint Venture, International Market Entry, Export Promotion Programs, and Relationship Marketing, Halal Branding and Muslim consumer behaviour. Assoc. 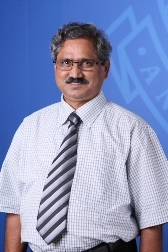 Prof Ali is associated with Asia in the 20th Century Multi-disciplinary Research Platform. He is also members of several professional associations and bodies namely the Academy of International Business (AIB), Australia New Zealand Academy of Marketing (ANZMAC), Australia New Zealand International Business Academy (ANZIBA), International Islamic Marketing Academy (IIMA), and the Academy for Global Business Advancement (AGBA). Ali, M. Y. and Shamsuddoha, A.K. (2014), Impact of Government Export Promotion Programs on Firm Export performance. In Julian, C. (ed), Research Handbook on Export Marketing, (Chapter 1, pp. 12 - 44), Cheltenham, UK: Edward Elgar. Saleh, A., Ali, M.Y. and Julian, C., “Antecedents and Consequences of SME Importers’ Relationship with Foreign Suppliers: A Transaction Cost Approach” In Julian, C. (ed), Research Handbook on Export Marketing, (Chapter 8, pp. 185 - 202), Cheltenham, UK: Edward Elgar. Ali, M. Y. and Khan, G. (2014), The Islamic Markets: Key Challenges to Effective Marketing. In J. Sinnakkunnu, M Nair and G. Lee (eds), Islamic Business: Contemporary Issues in Economic Development, (Chapter 9), Kuala Lumpur: LexixNexis. Saleh, M A., M.Y. Ali & R. Wickramasekaran (Accepted 2014), A Critical Appraisal of the Relational Management Paradigm in an International Setting: A Future Research Agenda, Management Decision. Saleh, M A., M.Y Ali & F Mavondo (2014), Drivers of Importer Trust and Commitment: Evidence from a developing country, Journal of Business Research, Vol. 67 (4): 2523 – 2530. Saleh, M A. M.Y. Ali & C. Julian (2014), International buyer behaviour-commitment relationship: An investigation of the empirical link in importing, International Business Review, Vol. 23 (2): 329-342. Saleh, M A., M.Y. Ali & S. S. Andaleeb, (2014), "Explaining Industrial Importers’ Commitment from an Emerging Market Perspective: Theoretical and Managerial Insights", Journal of Business and Industrial Marketing, Vol. 29 (1): 45-62. Saleh, M A., M.Y. Ali & Ali, Q.M. (2013), “A comparative study of consumer and B2B goods importers' trust and commitment: Evidence from an Asian developing country”, Australasian Marketing Journal, Vol. 21 (2): 126 – 136. Saleh, M A., M.Y. Ali & C. Julian (2013), Importer commitment drivers and their impact on performance: a resource-based perspective, International Journal of Trade and Global Markets, Vol. 6 (2): 123 – 140. Shamsuddoha, A. K. and M. Y. Ali (2009), Export assistance in the garment industry: an examination of awareness, usage and perceived benefit, J Global Business Advancement, Vol. 2, No. 4, pp. 381-389. Shamsuddoha, A. K., M. Y. Ali and N. O. Ndubisi (2009), A conceptualisation of direct and indirect impact of export promotion programs on export performance of SMEs and Entrepreneurial ventures, International Journal of Entrepreneurship, Volume 13, Special Issue, pp. 87-106. Ali, M. Y. (2014), “Australian Multicultural Consumer Diversity: A Study on Muslim Consumers’ Perception towards Halal Labelling”, Proceedings of the ANZMAC 2014 Conference, Brisbane 1-3 December 2014 (HE funded project). Ahmed, R. Quashem, R. & Ali, M.Y. Trust and Commitment in International Buyer-Seller Relationship: A Dyadic Study in an Emerging Asian Country Context, 5th Aalborg International Business Conference, Aalborg, Denmark, 4-6 June 2014. Hoh Ming Ze & Ali, M.Y. (2014), “Value proposition of Halal Restaurants for non-Muslim consumers: An exploratory study on Malaysian consumers”, 5t Global Islamic Marketing Conference Proceedings, 22-24 May 2014, Kuala Lumpur, pp. 117-125 (HE funded project). Lim, W. M., Ahmed, P. K. & Ali, M.Y. (2014), “Product Classification and Word-of- Mouth Recommendation”, Proceedings of the 2014 Global Business Conference, Dubrovnik, Croatia, 1 - 4 October 2014 (HDR student research). Lim, W. M., Ahmed, P. K. & Ali, M.Y. (2014),"Message Framing and Word-of-Mouth Recommendation", Proceedings of the International Conference on Contemporary Marketing Issues (ICCMI), Athens, Greece, 18-20 June 2014 (HDR student research). Ali, M. Y., Zyl, C. V., Mokonenyane, Q. G. B. and Kebatile, L. D. (2013), “Muslim Consumers’ Consumption Decision on Halal Products and Services: An Exploratory Qualitative Study”, Conference Proceedings of the 4th Global Islamic Marketing Conference, Istanbul (Turkey), 29-30 May 2013, pp. 258 – 264. Ismail, M.D & M. Y. Ali, (2012), Relationship quality and internationalization of SMEs from an Emerging market, ANZIA 2012 Conference Proceedings, Adelaide, Australia, 12-14 April 2012. Ali, M.Y (2012), "Halal Branding: A Study of Malaysia Muslim Consumers’ Perspective”, 2nd Global Islamic Marketing Conference 2012, Abu Dhabi, United Arab Emirates, 17-18 January 2012. Ali, M.Y (2011), "Halal Branding: A Study of Muslim Consumers’ Perspective”, Global Islamic Marketing Conference (GIMC) 2011, Dubai, United Arab Emirates, 20-22 March 2011. Islam, S., Ali, M.Y., and Sandhu, M.S. (2009) “Partner Selection Criteria: The Case of International Joint Ventures from Newly Industrializing Economies”, Australia New Zealand International Business Academy (ANZIBA) 2009 Conference, Brisbane, Australia, 16-18 April 2009. A Research paper on Halal Branding: A Study of Malaysian Muslim Consumers’ Perspective was presented at the Global Islamic Marketing Conference (GIMC) 2012, Abu Dhabi, United Arab Emirates, 17-18 January, 2012. Opinion – Invited commentary on Education Industry in Malaysia, International Business Review, December 2011 Issue. Marketing to Muslim Markets: Key Challenges and Strategies, 4th Seminar of the Islamic Economic Development Group (18th October 2010), School of Business. Authorised by: Marketing and Future Students. Maintained by: Monash University Malaysia Webmaster Team. Last updated: 11 Jan 2019.